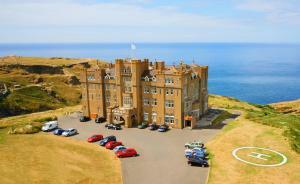 Featuring free WiFi, Camelot Castle Hotel offers pet-friendly accommodation in Tintagel. The hotel has a terrace and views of the sea, and guests can enjoy a drink at the bar. Free private parking is available on site. See all Camelot Castle Hotel reviews..